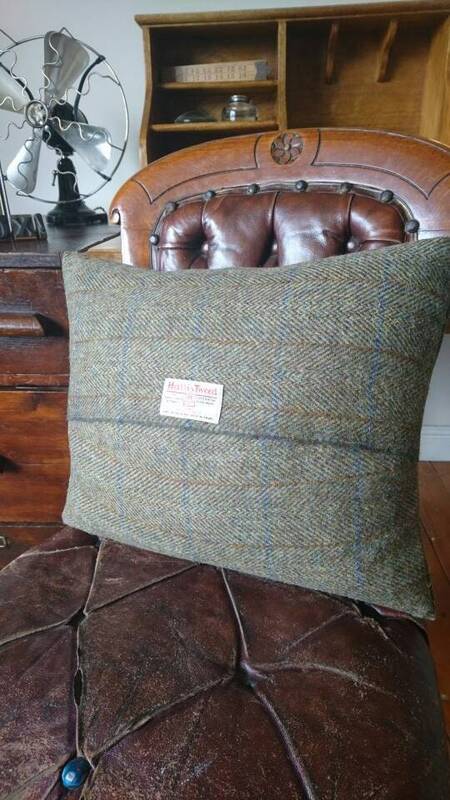 Beautifully hand crafted genuine Harris Tweed cushion cover. 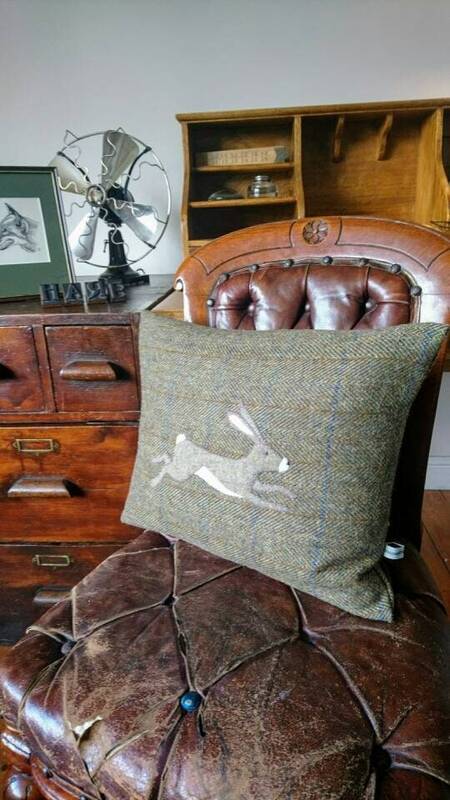 The hare is hand drawn and cut from felt and wool and embroidered onto the cushion. 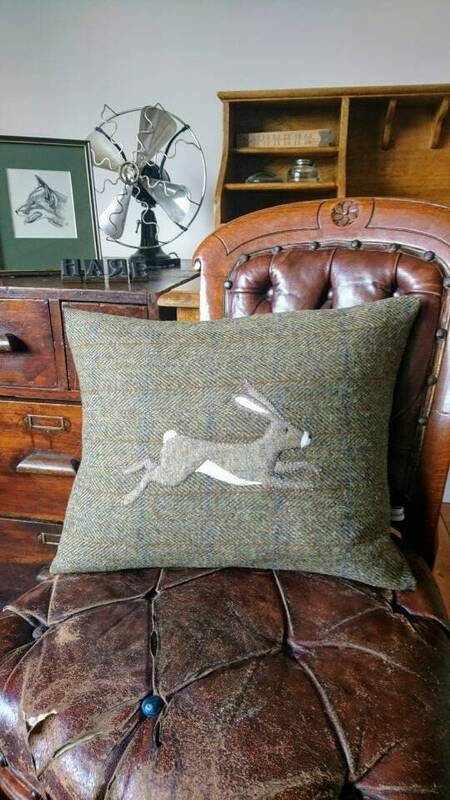 This cushion cover would fit 14 x 18 inch filler (not included).